For many Kentuckians, a place of worship is like a second home. Kentucky Farm Bureau Insurance wants to help you protect that sacred place. Whether your church is big, small, old, or new, our comprehensive, competitively-priced package can be tailored to your church's unique needs. 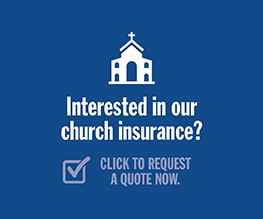 Your church will automatically be provided the following extensions of coverage at no extra cost. These can save you money now and more importantly at the time a loss occurs. * Higher limits are available for an additional premium. If you have experienced property damage or a loss, click here for instructions on what to do next.